This tag will be replaced with a PDF viewer code and a generated PDF of the RTF frame. 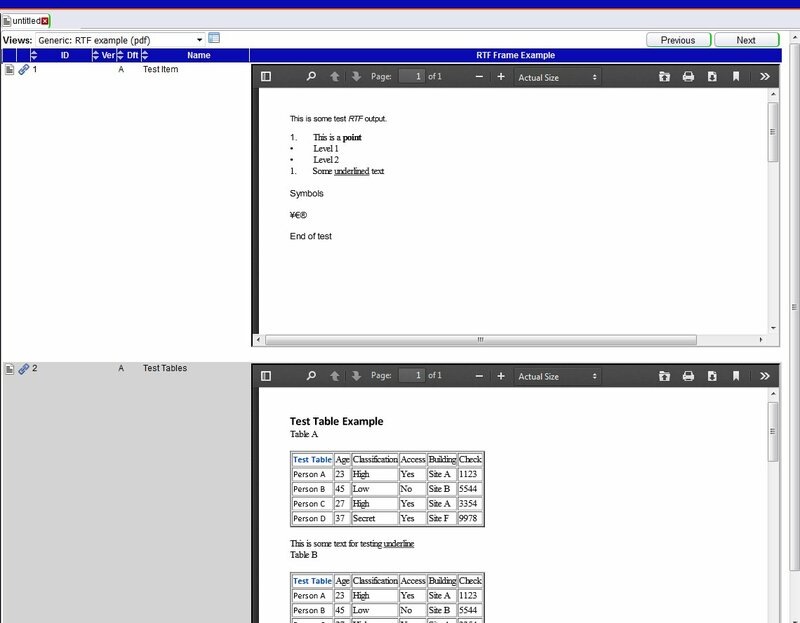 You can also set the mode to HTML so you can produce HTML output instead of PDF. The output can be included in both Web Access frames and views. 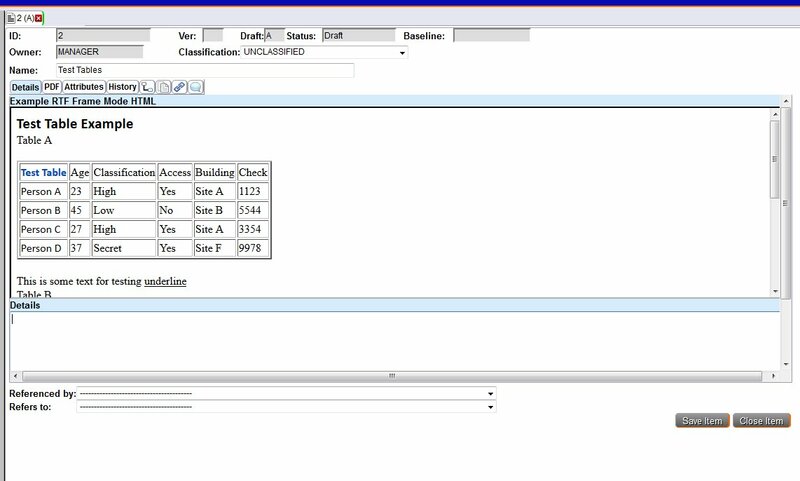 Even though it can be used in Web Access views it is not recommended to just embed the RTF converted frame in each row. 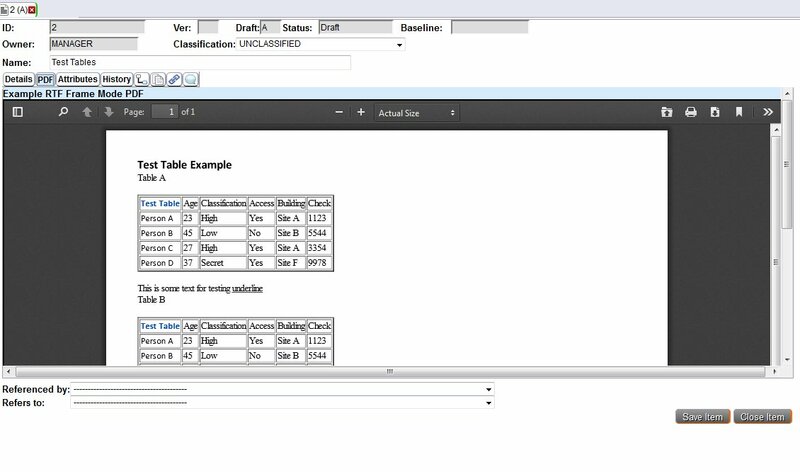 There is an example provided using a button that can open the RTF frame. 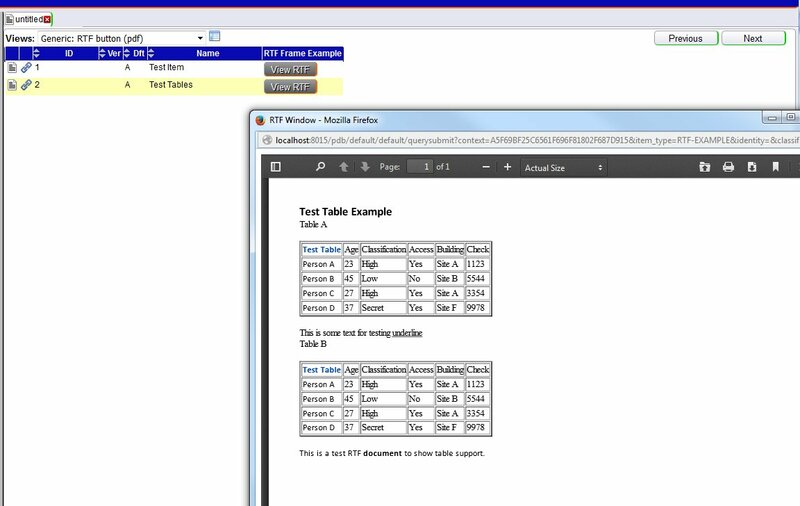 To allow HTML and PDF formats of the RTF frame to be generated Cradle ships with two converters unrtf and wkhtmltopdf. The converters can be configured through the cws_config file. 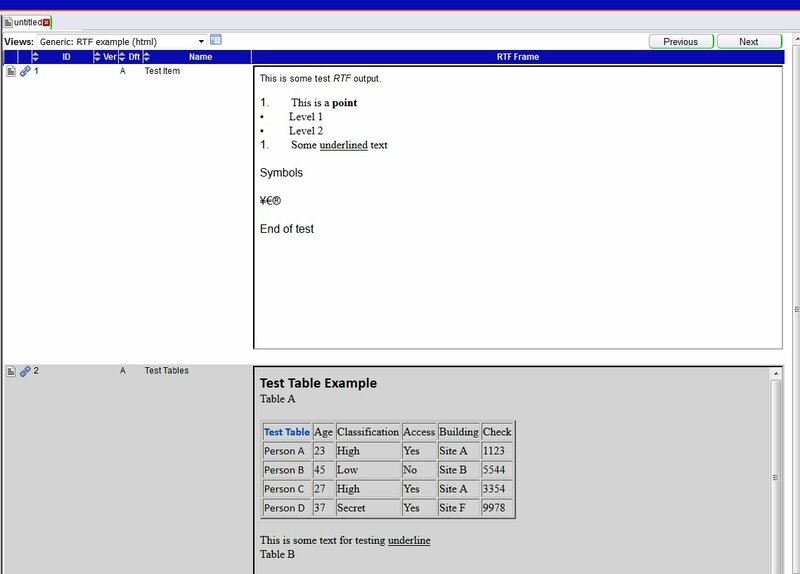 unrft is used to convert the RTF frame into HTML. wkhtmltopdf is used to convert the HTML into PDF.